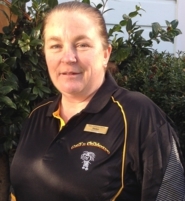 I began working at Gail's Childcare in 2001 and also started my training with Te Tari Puna Ora o Aotearoa in the same year. After qualifying with my Diploma in Teaching ECE, I gained my full registration and then, when the upgrade to a Bachelor of Teaching opened, enrolled and qualified a year later. My husband Wayne and I purcheased Gail's Chidlcare eight years ago jfrom Gail and Kelvin Ellery. as you can see the childcare is a family business and our vision reflects our strong family values. I am passionate about children's learning and development and see the fostering of their sense of identity, self esteem and mana as one of our most important roles. I am immensely proud of our centre, having a like-minded team of professional and passionate teachers, superb facilities, spacious grounds and a strong philosophy and curriculum driven by children's interests and needs. Kia ora Whanau, I was born and raised in Feilding. 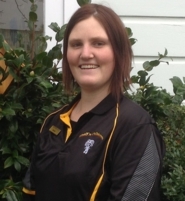 I began teaching at Gail's Baby and Toddler centre in 2010 after leaving Feilding High School and worked towards my Bachelor Teaching (ECE) at Te Rito Mioha which I completed in 2014. I am currently the Baby and Toddler centre Curriculum Leader. Kia ora, I grew up in Rangitikei and have spent most of my life in the Manawatu area. I have 4 children and 6 grandchildren. In my spare time I enjoy bush walks, camping, solving puzzles, reading, beach visits and time with my family. I was a teacher aide for many years before gaining a Bachelor of Education at Massey University. I have been at Gail's for nearly ten years now. I am passionate about children and their specific needs and enjoy seeing them grow and develop their own special interests as well as friendships. I believe my job is to support them to become confident and competent learners with respect for each other, the environment as well as the cultures and heritage which we are immersed in. Kia ora koutou, I currently live in Feilding with my two chlidren. 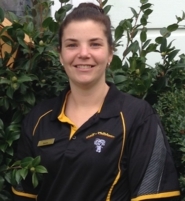 I started working at Gail's Childcare in 2008 and completed my Diploma of Teaching (ECE) in 2011 through Te Tari Puna Ora o Aotearoa (Te Rito Mioha). I have had the pleasure of working with all ages of children under the age of 5 but my passion is with babies and toddlers. 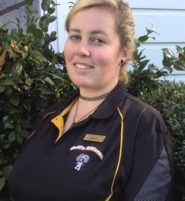 I enjoy all aspects of working with children and feel my strengths are incorporating te reo Maori thoughout my interactions with children, collaborating with whanau and providing a fun and stimulating learning environment.